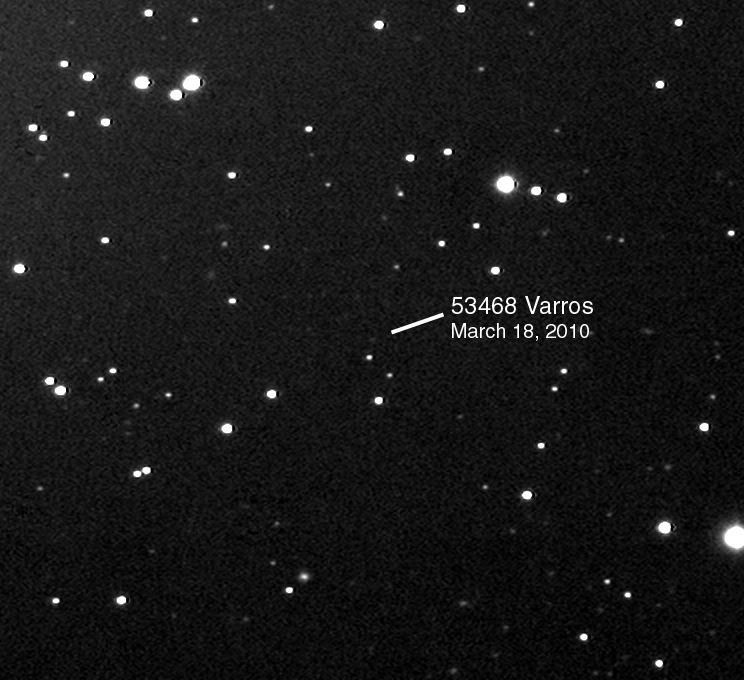 Stefano Sposetti of Gnosca Observatory in Switzerland, with some 120 asteroid discoveries to his credit, recently requested that the main belt asteroid, 2000 AC2 (53468), be named "Varros", in recognition of my contribution to lunar meteoroid impact detection work. 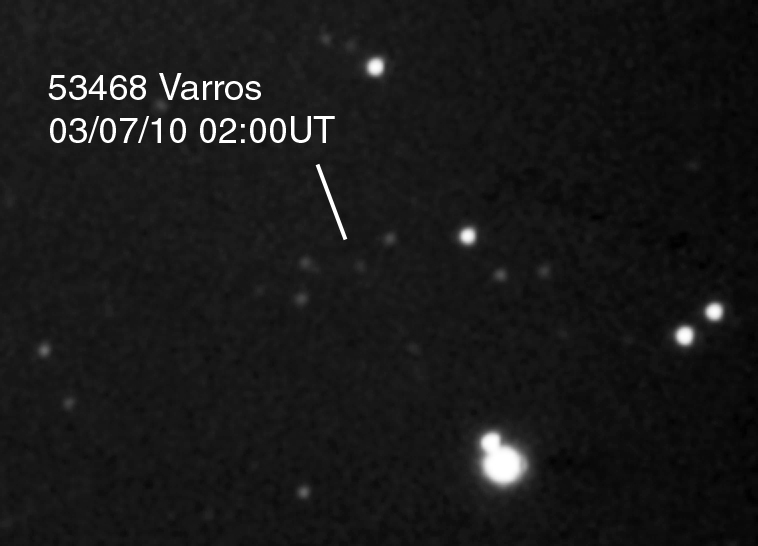 The IAU approved of the request so the asteroid is now (53468) Varros! This is an utter thrill and I am not sure how to even thank Mr. Sposetti for this honor but I will start here by at least saying Thank You Sir! 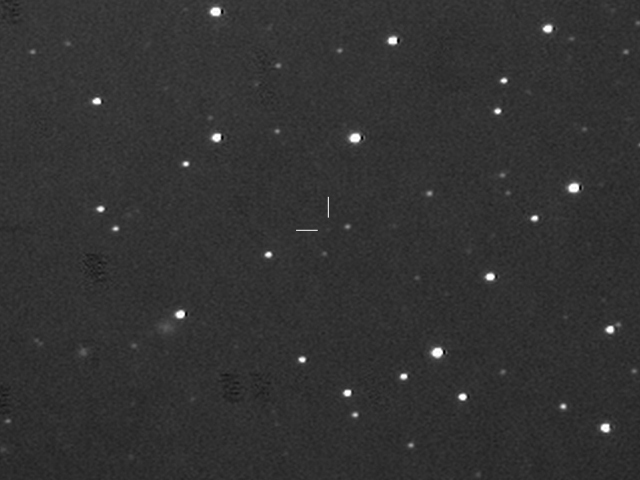 Along with his numerous asteroid discoveries, Mr. Sposetti also images lunar impacts, gamma-ray bursters (GRB), exo-planets and other fleeting transient objects, pushing the upper limits of the technologies used in amateur astronomy. Mr. Sposetti is a physics teacher and maintains a web-site with some of these very unique and inspiring images. Again, Thank You Mr. Sposetti for this honor!